The report contains three sections. The first section analyzes the various tax proposals included in the 2017-18 Executive Budget and the corresponding impact on General Fund tax revenues over a five-year period. The specific proposals include brief descriptions of the data sources and methodologies used to derive the revenue estimates. Certain proposals also provide interstate comparisons or a discussion of tax incidence under proposed tax law. The second section analyzes the proposal to increase the state minimum wage from $7.25 to $12.00 per hour. It discusses potential employment effects, income effects and the implications for General Fund revenues. The third section discusses the proposal to expand lottery sales to the internet. It also provides an interstate comparison of per capita lottery sales to provide context for the potential future expansion of the Pennsylvania Lottery. At the time of publication, technical language was not available to inform the revenue estimates of the proposals included in the budget. 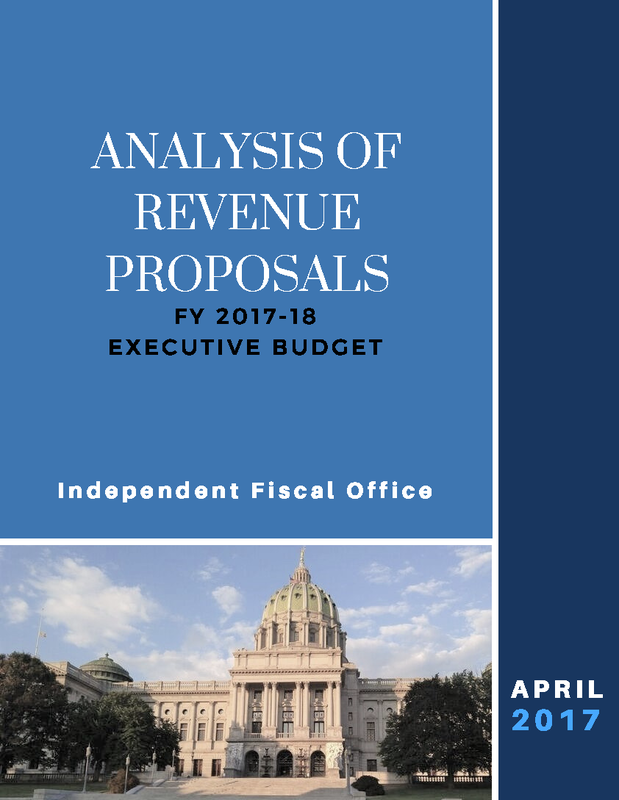 The explanations and descriptions contained in this report are based on descriptions from the 2017-18 Executive Budget and presentations made by executive branch officials. The analysis assumes that none of the proposals impact the current fiscal year, and most become effective July 1, 2017.